Bring balance and complex dimension to a variety of cocktails with the Woodford Reserve 2 oz. chocolate bitters. Bitters are a must-have at any bar and can make all the difference in reviving an average cocktail into a full-bodied, smooth-sipping drink worth appreciating. Woodford Reserve's chocolate bitters was inspired straight from their distillery tasting room, and blends natural flavors, including gentian root, chocolate, and other spices, that are brought out by its bourbon barrel aging process to produce authentic bitters with a balanced, yet complex flavor. 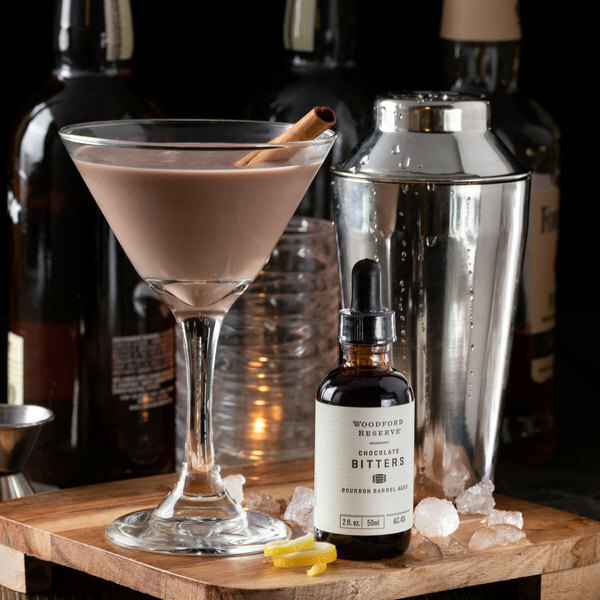 Well-suited for whiskey cocktails, add a chocolatey depth to your Old Fashioned or Manhattan, or mix with other Woodford Reserve bitter flavors to design new modern cocktail creations. You can even use these bitters to enhance your brownie recipe with a richer chocolate flavor! was expecting less milky flavor. it is very mild. my bartenders like the size and the dripper. could be a bit stronger and deeper on the dark chocolate flavor. Woodford is a quality brand. Great for cocktiails of course, but my favorite application is in my morning cup of joe to give it a little edge. Use a medium balanced roast, as darks can overwhelm the bitters. For valentines day we make a chocolate covered strawberry whiskey cocktail. Woodford reserve chocolate bitters bring that high end taste our customers love and expect. These famous brand bitters are a must have for any bourbon or whiskey bar! They work perfectly in our crafty cocktails, especially our House Manhattans, and Old Fashioned cocktails, and other specialty drinks. 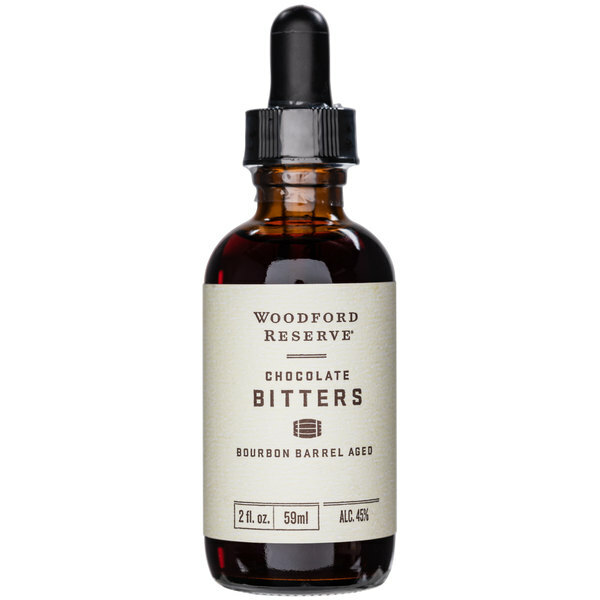 These famous Woodford Distillery chocolate bitters are perfect for exceptional, high quality drinks, especially slightly sweet ones around the Holidays.